Anne is a princess. 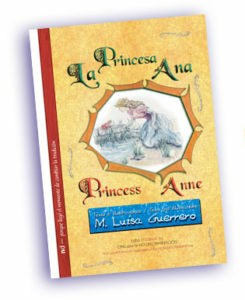 She used to live very happily, but, as she grows up, her parents start to look for a possible husband and future king. From that day on, Anne becomes sadder and sadder. And when she kisses a toad, like in every traditional fairy tale, things take an unexpected turn. This is a story which introduces the theme of lesbian love. It rewrites the traditional plot of fairy tales, where a toad, once kissed, becomes a prince. Here, in fact, the toad turns into… a princess!